Over the past decade, the Gas Power Plant Construction Industry has experienced huge levels of growth, change and disruption. Cutting cost and staying on schedule is more urgent than ever. The question is, how can innovative technologies and techniques help you to do so? In a brand new free whitepaper, Petrochemical Update has consolidated the most up to date data and expert insight of today’s Gas Power Plant Construction Innovation Trends to best help you get your plant online, on target more efficiently and safely than ever before. A Complete Outlook of the US Construction Innovation Trends that are reshaping onsite productivity and could help keep your project stay on target, including advanced work packaging, 4D and 5D modelling, the digital transformation of construction and data analytics. 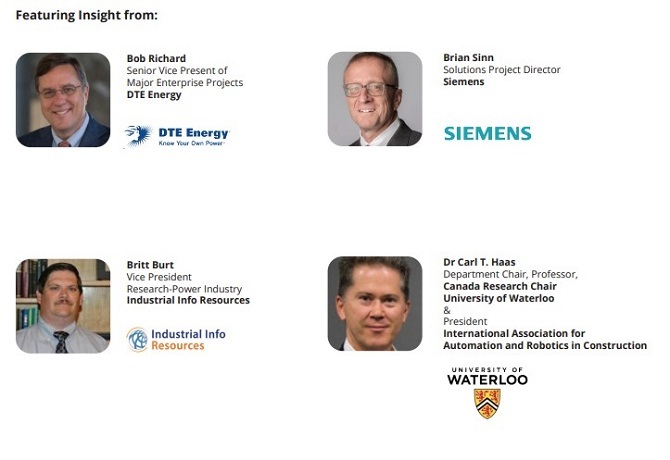 Leading Expert Insight and Case Studies from DTE Energy & Siemens on major challenges faced by high level gas power project managers and the new technologies and execution strategies they use to deliver their projects on target. Where to next for Construction Innovation Trends: A look into the future of construction and the adaption of automation to further cut costs and increase safety. The whitepaper has been produced in conjunction with the Gas Power Plant Engineering and Construction Conference (18-19th June 2018, Pittsburgh).